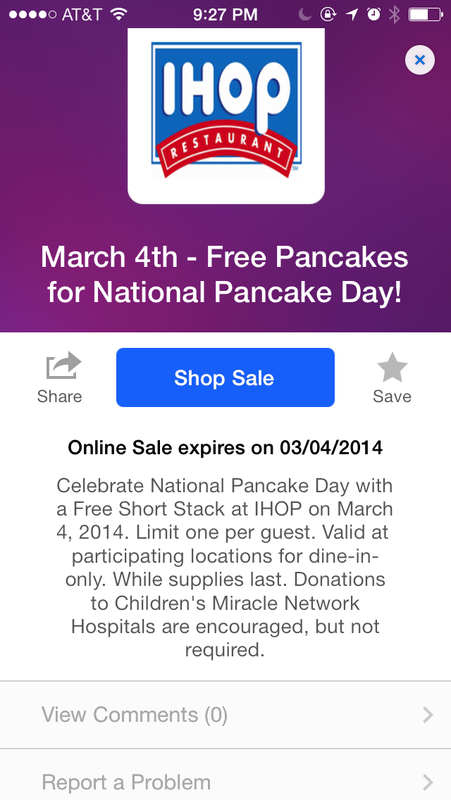 Today only, free short stack (3 pancakes) at IHOP. It gets pretty busy on National Pancake day, so if you are hoping to make it out, I recommend going early or at an off time. If you are like me and would rather avoid the crowds and just cook at home, check out my whole-wheat pancake recipe.